What is the Zero Lower Bound? The Zero Lower Bound refers to the belief that interest rates cannot be lowered beyond zero. Traditionally, central banks used monetary policy to manipulate the interest rateInterest RateAn interest rate refers to the amount charged by a lender to a borrower for any form of debt given, generally expressed as a percentage of the principal. The asset borrowed can be in the form of cash, large assets such as vehicle or building, or just consumer goods. in the economy to meet their fiscal objective(s). Therefore, the banks would lower the interest rate during a recession (to promote investment) and increase the interest rate during a boom (to control prices). 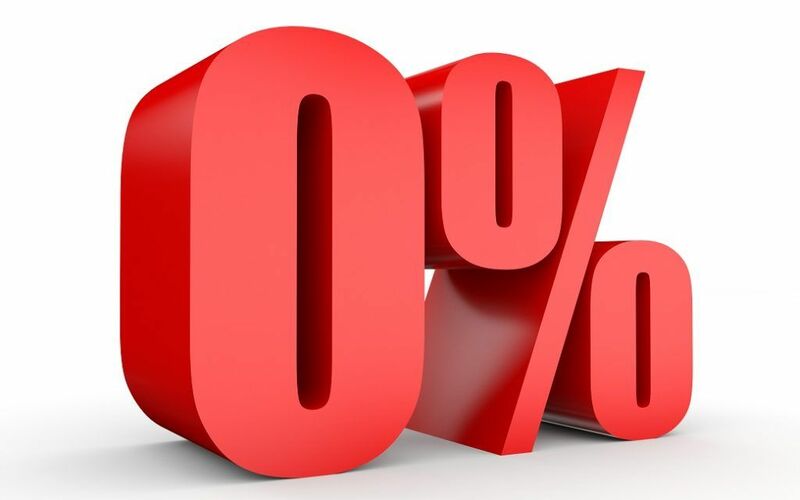 Central banks believed that the interest rate was bounded from below at 0, i.e., the lowest interest rate that the central bank could set in the economy was 0%. Following the 2008 recession that resulted in low investor confidence in the economy, even zero interest rates could not stimulate investment and recovery. Most central banks use the monetary policy to control interest rates in the economy as per the new Keynesian economic modelKeynesian Economic TheoryKeynesian Economic Theory is an economic school of though which broadly states that government intervention is needed to help economies emerge out of recess. However, when interest rates reach the zero lower bound, even the monetary policy can lose the ability to stimulate growth. For example, during the 2008 crash, “unconventional” tools were used so monetary policy could help get the economy out of the liquidity trap. 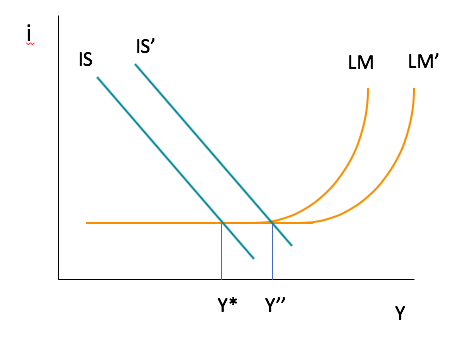 Usually, a decrease in interest rates encourages spending, but in a liquidity trap, the change in the money supply does not change spending habits. Therefore, the use of monetary policy is ineffective (as seen above). In response to the 2008 Global Financial Crisis, central banks around the world lowered interest rates and by 2009, the US Federal ReserveFederal Reserve (the Fed)The Federal Reserve, more commonly referred to The Fed, is the central bank of the United States of America and is hence the supreme financial authority behind the world’s largest free market economy., the Bank of England, and the European Central Bank had interest rates close to 0%. The zero lower bound meant the banks were no longer able to pursue traditional monetary policy and had to implement a series of unconventional monetary policy as fiscal stimulus. The policies used by each bank was different but were broadly termed as quantitative easingQuantitative EasingQuantitative easing (printing money) is used by the central bank to alleviate economic underperformance and keep the economy from falling into recession and credit easing. Credit easing focuses on the asset side of the balance sheet and aims to ease credit through the purchase of assets, while, quantitative easing focuses on the liability side of the balance sheet and aims to raise reserves through currency and other liquid items. The measures, as part of the credit easing program, included liquidity programs, swap agreements with other central banks, an increase in the number of securities purchased, and an increase in the purchase of both public and private assets. Such unconventional policies were used in conjunction with a fiscal stimulus to bring the economy out of a recession. The unconventional monetary policy undertaken by various central banks through asset purchasing was effective in mitigating the negative effects of the zero lower bound. The Federal Reserve’s asset purchase program resulted in a 3% reduction in short-term interest rates. The policies also reduced the output gap in the US and resulted in a crucial impact on interest rate spreads. In Europe, the impact of the unconventional policies was more measurable. Gilt yields were 1% lower than they would have been as a result of quantitative easing. The most impactful measure was the EURIBOR-EONIA spread, which lowered interest rates from 1.8% during the collapse of the Lehman Brothers to 0.05% after implementation of the policies. The European Central BankEuropean Central BankThe European Central Bank (ECB) is the central bank for all the European Union (EU) member states. The body has the responsibility to the euro... used an enhanced credit easing support policy to compress interest spreads, which helped the economy during the recession. Quantitative easing played a significant role in Europe to help stabilize the economy after the collapse of Lehman Brothers although it was still not enough to prevent a fall in economic activity. During the 2008 Great Recession, the intervention of central banks was necessary to minimize the damage caused by the financial crisis, but the monetary policies were still too stringent. According to research, a further 2%-4% interest rate cuts would have helped unemployment and recession, but the zero lower bound prevented such from happening. Even after the implementation of the unconventional policies, economic recovery was still slow, and unemployment was high. The government had to look for other policies as an alternative to overcome the effects of the zero lower bound.